Check it out, kids! Your friends from Coldplay have unveiled a new video for the latest single from Mylo Xyloto, "Charlie Brown" and we're hosting it here for your viewing and listening pleasure. J and 11 both reviewed MX for us, both liked the record a lot, both liked this song. Sterfish identified it as one of his favorite albums from 2011. I'm less favorably inclined toward the record than those lads are but I'm overall okay with it. I'm always going to like Parachutes best and Viva La Vida was an astonishing, transcendent achievement. That's a lot to compete with and I haven't yet gotten to a place where I can listen to MX without hearing all the things it doesn't have that VIVA did (or in the case of Rihanna, what VIVA didn't have that MX does). "Charlie Brown" is one of the better tracks on MX and one of its more memorable. The video has the big explosions of color and grandeur as other recent Coldplay videos. I'd be annoyed if it weren't appropriate for this. At least there aren't any CGI monkeys dancing with skinny blondes. I'll allow it. So here you are, boys and girls. Check out the video, singalong to the singalong song, and let us know what you think. 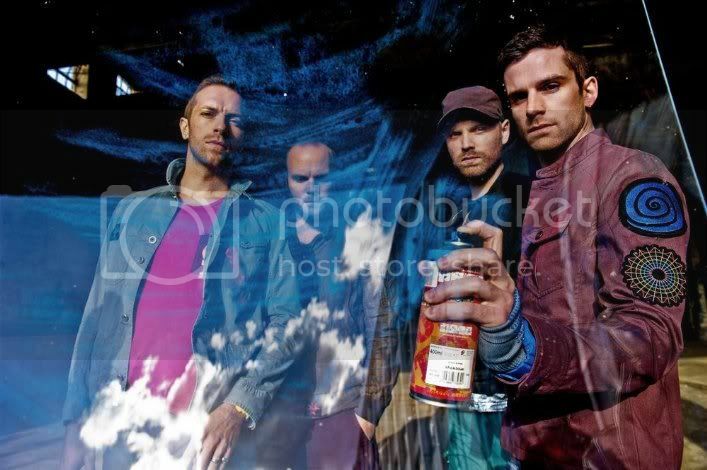 Coldplay are gearing up for their 2012 Mylo Xyloto World Tour. Check the announced dates and see if they're coming near you.